The Timbers Apartments offers studios, one bedroom, and two bedroom homes in the Jackson Triangle neighborhood of Hayward, CA. Residents may choose from four layouts, with either studio, flat, or loft design. With these options, you are sure to find the right space for your needs. Apartment homes range from 524 to 851 square feet. One or two bedroom loft units feature a second-floor bedroom and closet space. 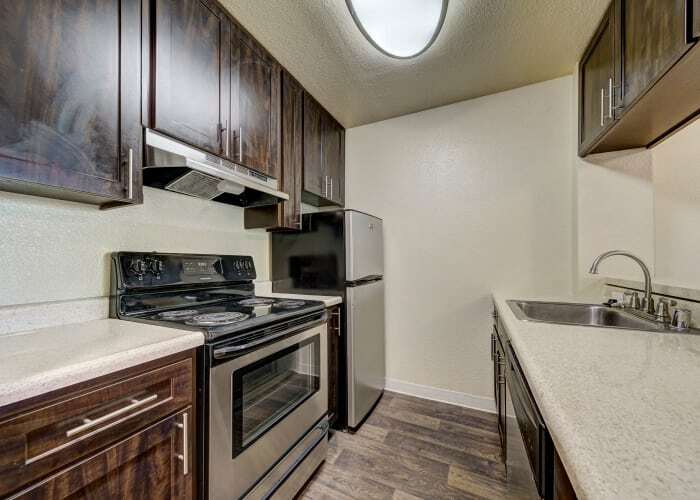 Studios at The Timbers Apartments are 524 square feet and are ideal for one or two people looking for an efficient space. One bedroom apartments range from 624 to 751 square feet. The larger unit features a second-floor bedroom. 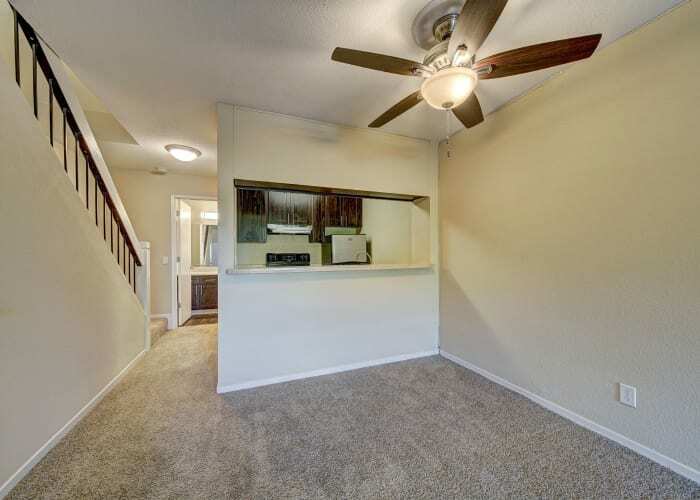 Both units include oversized closets and large kitchen. Two bedroom lofts are 851 square feet and include an open floor plan with extra closet space and large main floor bathroom. We’ve included modern design features you’re sure to love, including breakfast bar, large patio or balcony, with generous closet space in every home. Apartments are designed to complement the personal style you bring to your apartment home. See for yourself why The Timbers Apartments is the perfect choice for students, professionals, families, and everyone in between in Hayward, CA. View our floor plan models and then call us to schedule a tour of your favorite.